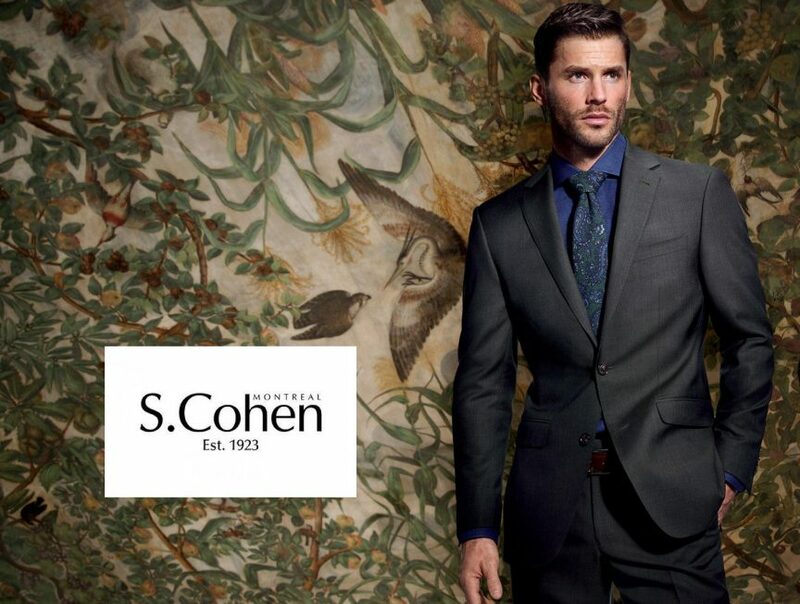 S Cohen is a suit company based out of Montreal. All S. Cohen garments are guided by five generations of attention-to-detail, care and innovation. Since the 1990’s, S. Cohen’s Performance garments, included water and stain resistance, stretch guard and a comfort waistband. The newly introduced Smart Suit includes travel zippers, wire management, and an RFID protective sleeve. S.Cohen partners with the most historic fabric mills, mainly in Italy, who have been delivering quality premium fabrics for our customers for 95 years. Our staff will assist you with your suiting needs.